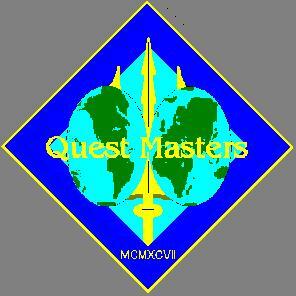 examples in the QuestMasters Museum collection and then printed. your vintage look at WWII events. 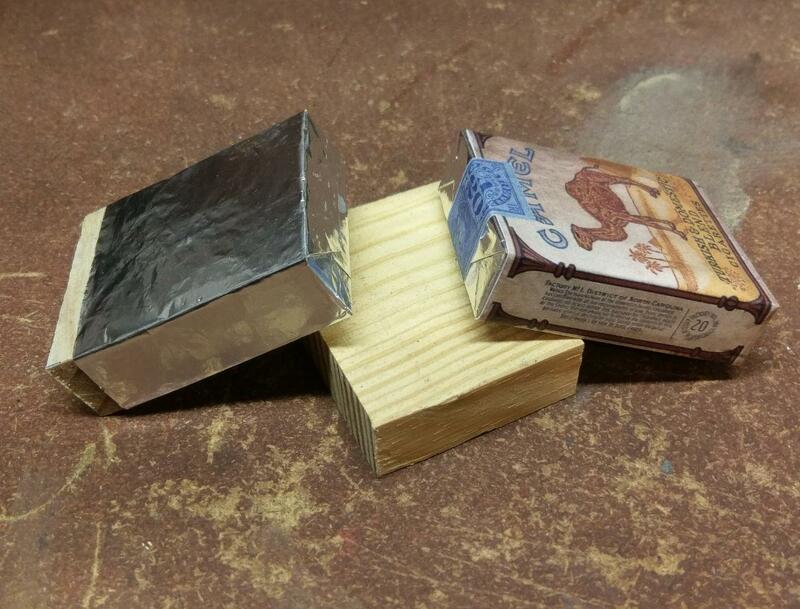 You will need a block of wood, layered cardboard or similar material to create the center of the empty cigarette pack. 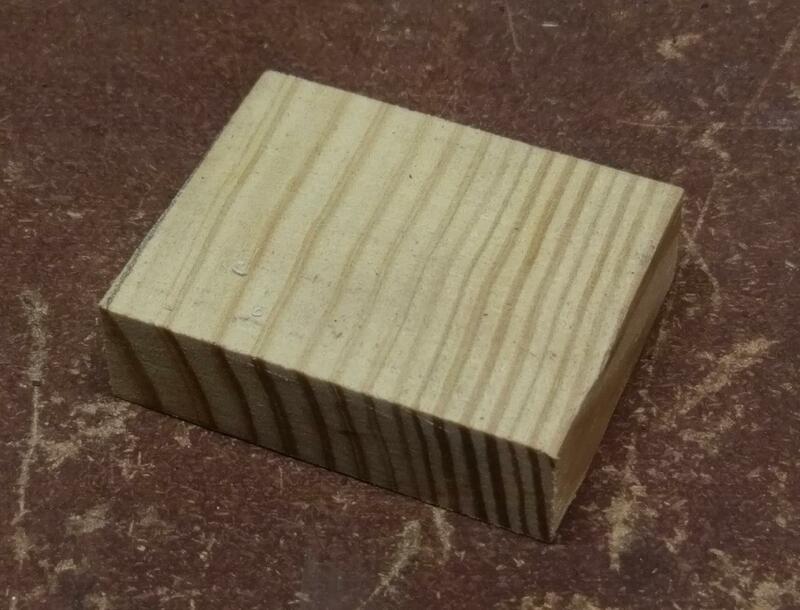 The block should measure: 2 11/16" tall, 2 1/8" wide and 3/4" deep. 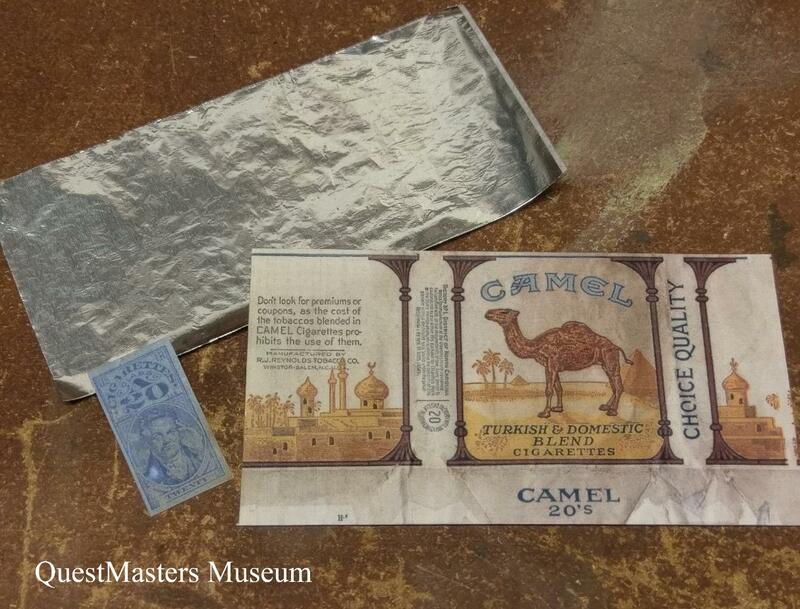 The provided foil should be wrapped around the block and glued using white glue. Use glue sparingly! top of the block for folding and gluing. Then apply the outer label and finally the tax stamp. Again - use glue sparingly! 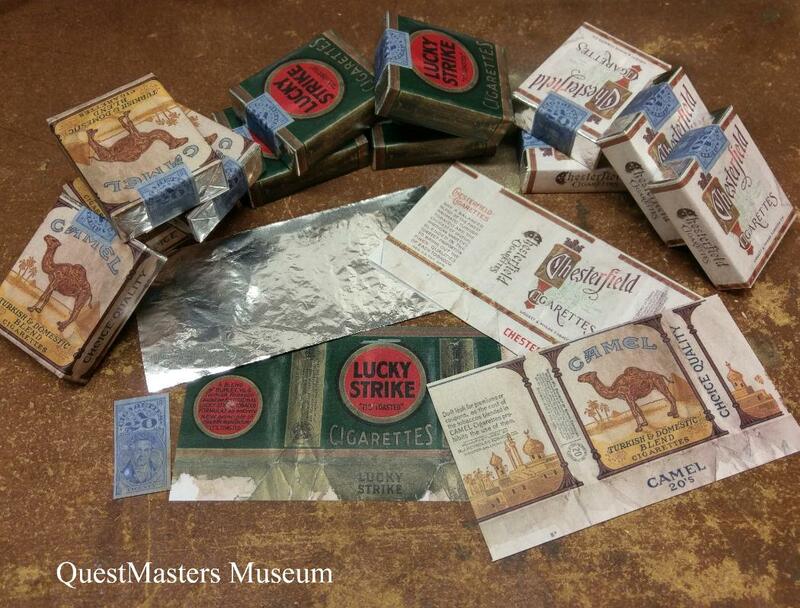 The end result: A beautiful replica of a 1942 vintage cigarette pack that is perfect for any WWII event or display.